At the start of the game, it is assumed that the few Royalists and BUF have departed the construction site driven off by the Anglican scouts, who have also retreated to inform their commanders. So neither force actually occupies the construction site of the radio mast. 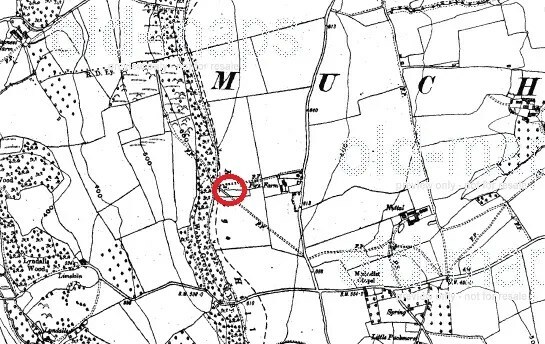 In the site of a long abandoned shallow quarry in towards the crest if the ridge the Royalist forces had established their small transmitter station consisting of a Nissen hut, radio shack and privy. The transmitter itself being over 30ft high was originally intended as a temporary solution but the necessity of getting construction material to the top of the ridge and the ‘enlistment’ of a local father and son electrician (perfectionists both) and Frank ‘the shovel’ Evans ensured the site was built to last. Scant attention was made regarding security, a mere couple of slit trenches, mere scrapes in the earth and the recycling of some locally appropriated barbed wire serving to keep out any unwelcome visitors. The appearance of a group of elderly ramblers through dawns early mists almost increased the civilian casualty count by seven, two sheep and the mute chocolate Labrador ‘Ned’ on the first operational morning following the completion of Phase 1 of the build. The swift exchange of a flask of lukewarm tea and some Kendel mint cake spared the walkers and allowed them to scuttle away to nagger in some fanciful discussion in the local hostelry….” Up there looking for aliens I reckon” blathered Derek Ellis between swigs of a flagging of the local cider…. The Anglicans and allies may not have any vehicles. Royalist and allies may only have a single armoured car that must stick to the track. Otherwise, use the normal Platoon generator rules. The ridge is set up across the table (8×4 at least), with the radio mast and shack in the middle. The hill is long and narrow, running north-south. The western flank is much steeper than the eastern, and is also wooded. There are little in the way of roads, except a lane running parallel to the eastern flank. The only buildings would be Firs Farm and some sheds/tents for the construction site. One side will there fore be Forested (the west), and the Anglicans come on on this side. 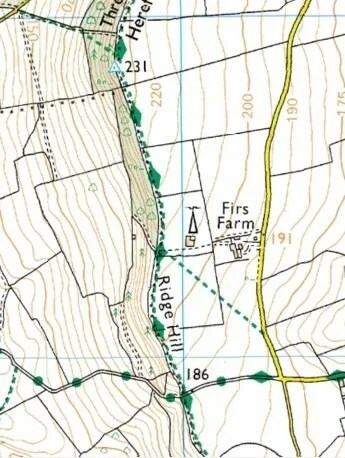 The other, is open, except for The Firs Farm, which is where Royalist and allied forces come on. Roll for deployment and each side/faction deploys a unit in turn up to 6 inches in. Draw Initiative cards now, plus one as usual for your ‘pool’, plus an additional card for each Player. Each unit deployed is represented by their Initiative playing card, and each faction has the additional card that acts as a ‘blind’ marker…perhaps representing sheep, cows, pheasants or ramblers that distract and annoy their enemy. Until the ‘blind’ card is found, continue to draw a card for this ‘blind’ unit. All normal rules apply, except for the issue of spotting the enemy. Until a unit has reached the crest of the hill, no actual models are deployed. Once a unit has reached the top of the hill, then they can start spotting the enemy. Nominate a unit they wish to spot. If they are Green/Inexperienced they must roll a 5-6 to spot, if Trained 3+, Veteran 2+. Modify by -1 if in woods, -2 in a building, or by +1 if they have a standard or are an armoured vehicle I(Gents we rely on your good conduct to add this modifier without specifying it). Roll the dice, and the commanding player has to put their figures on the table, unless it is a ‘blind’ card. A Player may fire speculative shots at an enemy card before “spotting” them, however they have to deploy their figures immediately, and only if they kill an enemy does the opposing player have to deploy their unit. There is nan additional -1 to hit as well. The unit that is at the top of the hill, must of course be deployed ! If a unit has an NCO or Officer in it, it may make an additional spotting roll for each such character. The Anglicans and allies, may sabotage the construction site with a sticky bomb attached to the transmitter. Depoloy as normal, against an improvised armoured vehicle. The winning side is the one left with at least one unit (of more than half strength) occupying either the Radio Mast construction site, or occupying more than half the board. the winning side to achieve a Total Victory, must gain the above plus and transmiktter unharmed.